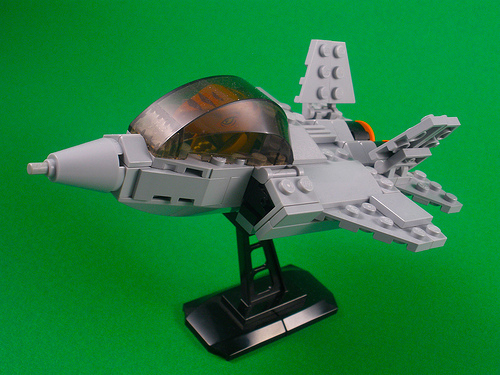 This chibi F-22 built by Jack Marquez (Ewok in Disguise) is a nice model in its own right, without considering the pilot. It’s well built and adorably proportioned. The icing on the cake? It’s piloted by a raptor from the new Dino sets! Just gonna say it; no one else has: Calvin and Hobbes. ^Looks like he beat you by a minute. I’m loving the addition of the Raptor – fantastic. It reminds me of the “Dino Yatch Club” videos on YouTube.